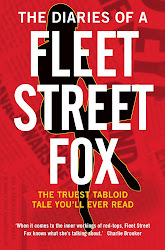 fleet street fox: Class (n.): people with similar characteristics. ALIENS have landed in the middle of London. In an effort to find out what makes us tick they locate the nearest hostelry and wander in to find out what we're all talking about. Is it war? Health services? The rate of extinction among barely-discovered species in the Amazonian rainforest? No, it's about whether a posh man called someone a pleb, and how a pleb has refused to play football because everyone's having a go at him. Class, in other words. Who's up and who's down, who's above us and who's beneath us. Had Andrew Mitchell sworn and shouted precisely the words attributed to him with the exception of "pleb" - and not directed a tirade of abuse at police officers the day after two members of the thin blue line were gunned down - the story would probably have been noted only by political diarists. They'd have made some wry comments about how he's supposed to be fierce at his own party's MPs, not the coppers guarding them, and that would be that, despite his history of tax avoidance, bullying young journalists, and pettily claiming 13p for some Tipp-Ex on his expenses. It's 'pleb' that makes people angry, it's 'pleb' that makes him sound like an entitled toff, and it's 'pleb' that he has still not expressly denied saying. It's one word differentiating one group of people from another, used as an insult to put someone in their place. Mitchell appears to put himself above all of us - even though he is our employee - and refuses to admit he was wrong. Then we have the case of John Terry, a former England football captain accused of calling a mixed-race rival a "f***ing black c***" during a game last year. He was cleared of using a racist insult by a criminal court but the game's ruling body, which has a lower burden of proof, was on course to find him culpable anyway and probably issue a short ban and a fine. It's not the swearing which mattered - it was use of the word black. Had he said the rest of it on or off the pitch, to his rival's face or behind his back, we'd all just roll our eyes. The FA wouldn't care. The police wouldn't get involved. He'd still be in the squad, despite a long and inglorious history of parking in disabled bays, smashing beer glasses full of pee, flogging his discounted Wembley box, taking £10,000 for private tours of Chelsea and of course cheating on his partner repeatedly, not least with one of his mate's wives. It's 'black' which makes people angry, it's 'black' which he initially denied saying, and it's 'black' which makes him sound like an aggressive, ignorant bully using one particular word to put someone else in their place. Both Terry and Mitchell have done things which are worse. Dodging £2.6million in stamp duty has more far-reaching effects than saying pleb, and cheating with your mate's partner puts two relationships and families through the mincer. Abuse, however unpleasant, can be forgotten far sooner. One is a privately-educated, privileged and wealthy bully. The other is a state-educated, privileged and wealthy bully. Both fail to meet the standards of what most of us call reasonable behaviour, both are entitled, arrogant and petulant once caught out, and both have had far better treatment at the hands of the justice system than the rest of us might expect. If I called someone a "f***ing black c***" in the course of my work, with thousands of witnesses, it would not wash for a moment if I said it was "banter" as Terry did. And most people who swear at police officers find themselves given a telling-off, if not a four month jail sentence. "But," the aliens might ask, "why aren't you upset the law treats rich people differently to the poor?" "Eh?" the pub might reply. "It's not allowed to do that." "Yes," the aliens might persist, "but it is. And if you're prepared to let these two particular people be above you in so many ways when they are so eminently unsuited to social elevation, why are you only getting upset about it now?" The pub would scratch its head at that, because the aliens would have a point. Mitchell is a man who should not be in public office for the simple reason that he has been involved in diddling the public out of £2.6million in tax receipts, money which would pay for more than 60 police officers a year. Terry is a man who should not be in the England football squad because the national team's purpose is not just to win matches but also to represent the entire nation, and not many of us like being represented by a weasel-faced hooligan with the morals of an alley cat. Yet they have both been given high-profile roles because the qualities we like in them least - bullying in Mitchell's case and making successful passes in Terry's - are precisely what makes them useful to the people in charge. For years we've overlooked their misdemeanours, we've given them both a lot of money and attention, and just sighed occasionally when we hear about their latest outrage. Now we're getting het up about the technicalities of things that they both said and which, if we're honest with ourselves, we would always have expected someone in their position to say. One is clinging on for dear life even though if he is proved to have said it his position as chief whip would be untenable, and the other as flounced off claiming persecution after 11 months of making excuses and saying he'd never leave. To be fair, I expect they're both feeling persecuted. If I got away with all the things they have done with planning aforethought and was then hounded over words said in the heat of the moment I'd feel a bit confused, too. Both should have been hounded from public life long before now, and if these two minor incidents are what finally does it then about time too. But if Terry and Mitchell are the same class - entitled, arrogant, abusers of privilege and people - then what are all of us, who excuse Terry's ignorance because he's a good defender, or ignored Mitchell's bullying because he wasn't important enough up to now? We're that class of people who don't care enough that the law is harsher for us, who think goals are more important than decency, who pay through the nose for other people to haul themselves up the social ladder, who expect those who represent us to be rotten examples of humanity. We're people who not only expect to be abused, but allow it.